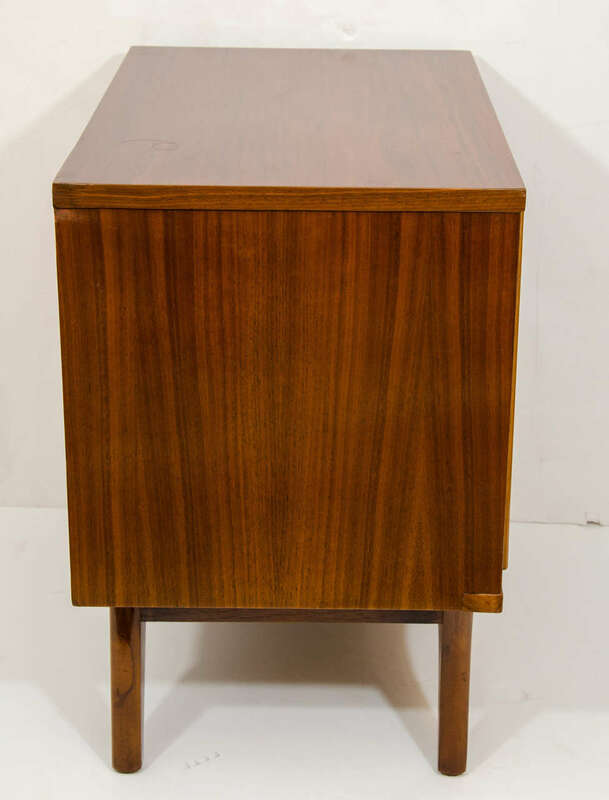 A pretty cube, crafted of walnut and birch and resting on a curved walnut frame. 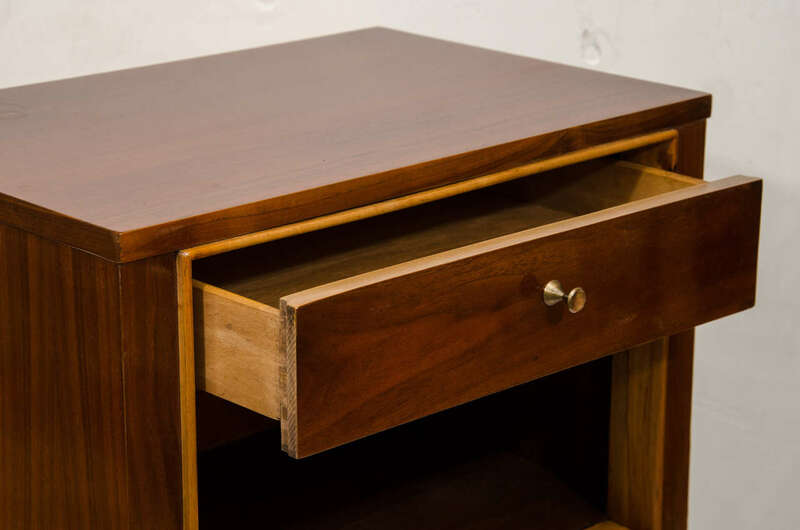 The cabinet has a single drawer, and large open compartment for books or periodicals. 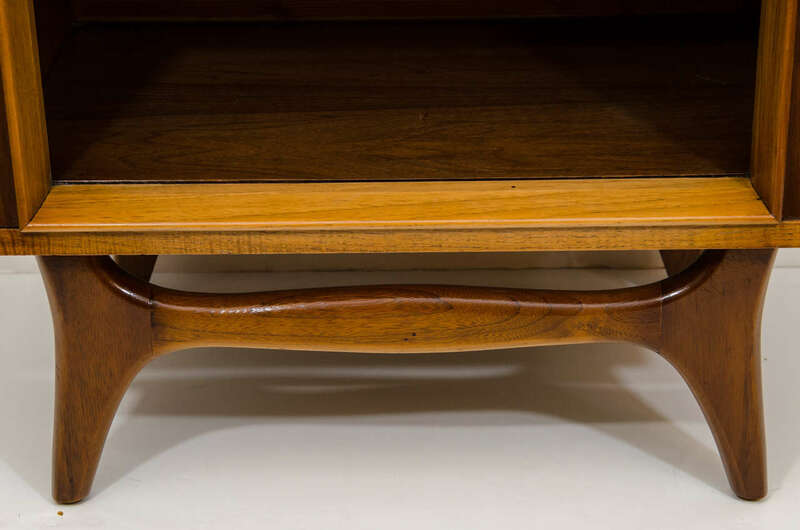 Perfect companion to any couch or bed; made to rest a beverage or book. 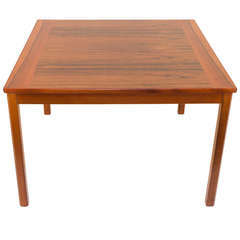 An occasional table, designed for the elegant living room of the "modern" Scandinavians of the 1960s. 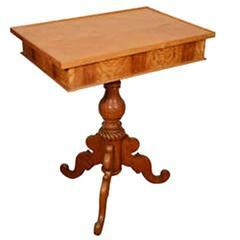 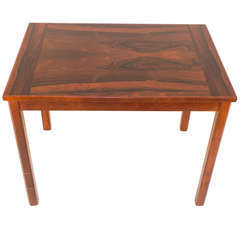 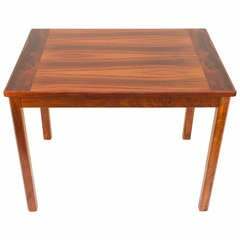 Sleek design, exotic woods and practical function made these tables classics. 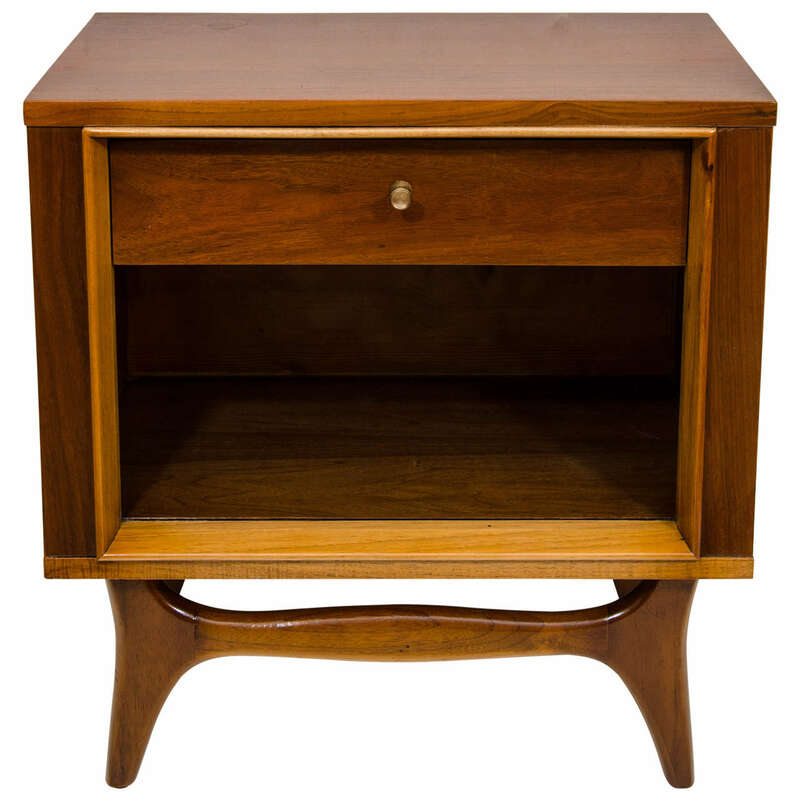 The solid birch carved and turned, tri-footed pedestal supports a rectangular rimmed top with a full sized drawer hidden in the apron. 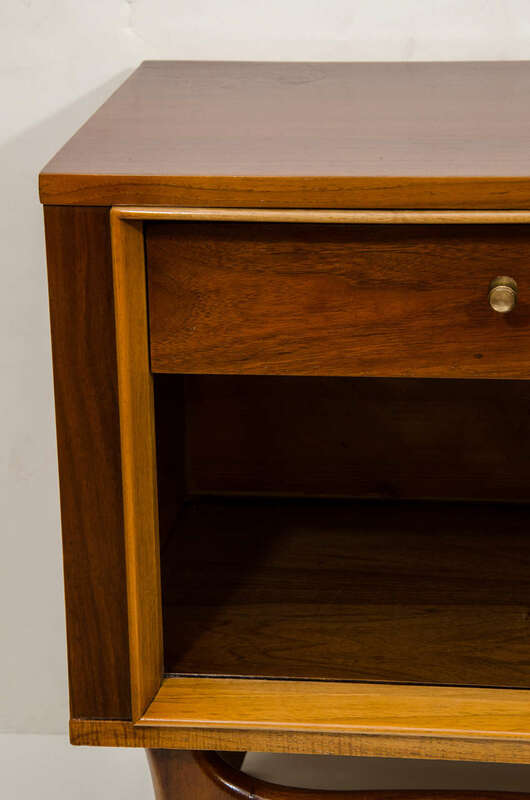 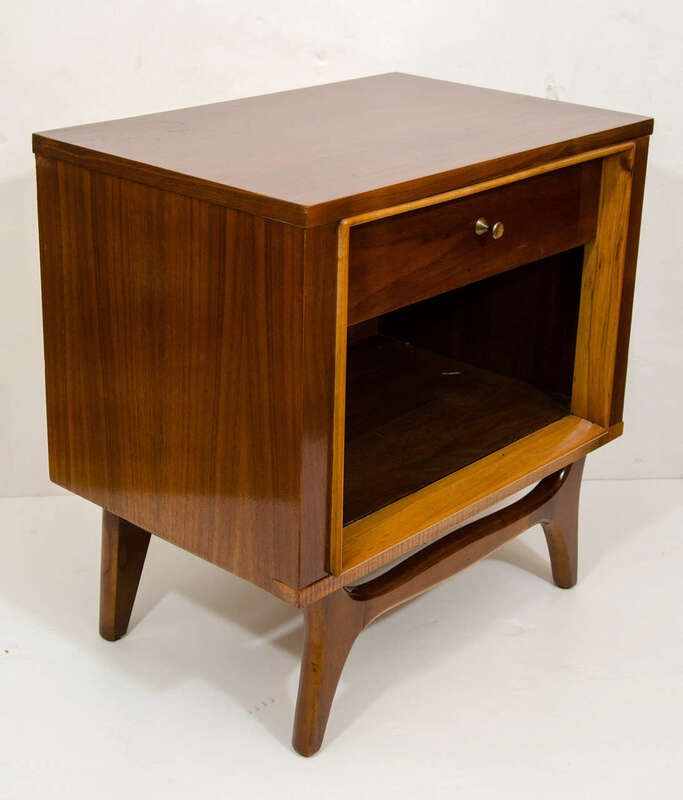 Marked Baker, pair of Mid-Century Modern wood end tables with single wood reeded drawer and large ring pull.